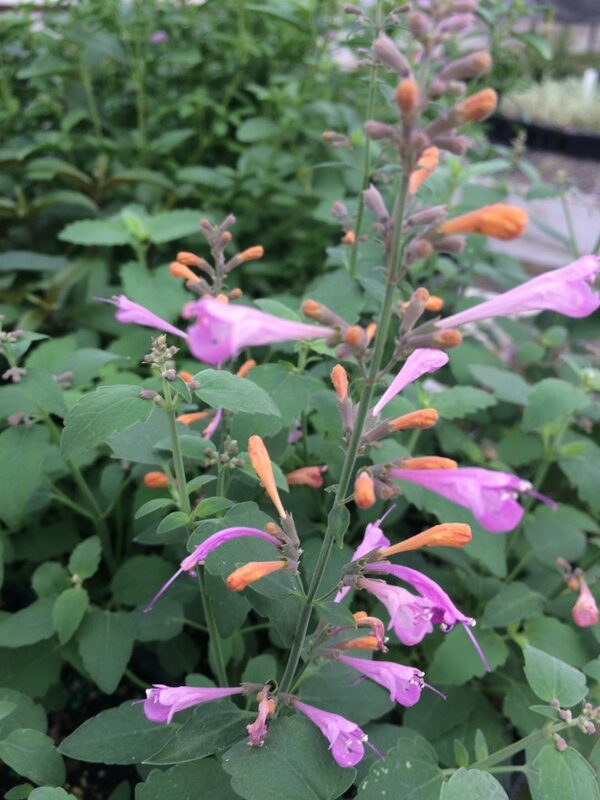 Cool bicolored Hummingbird Mint that has masses of flowers that appear from orange buds which quickly change to luminous light lavender when open. To 30″ tall and forming a clump this very, very, long blooming perennial is delightful for hummingbirds, bees and butterflies. A soft pastel coloration that pairs wonderfully with light yellow flowers and even blue. Great in seasonal containers. Blooms non-stop from June to October. 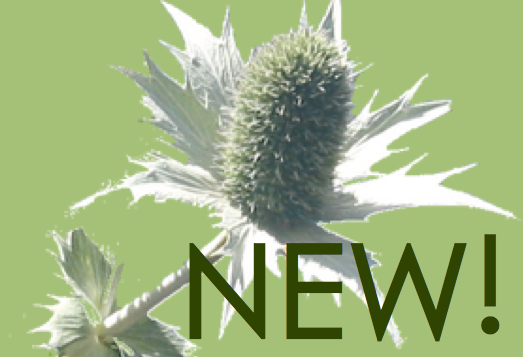 Do not remove flower spikes as new flowers will appear continuously from the same spike. Rich, WELL DRAINED soil with light, consistent summer water. Its best to water Agastaches consistently during their first year in the ground- to establish a large root system. Ideal on slopes- to assist in drainage in winter. Double dig soil to incorporate lots of oxygen in the soil. One of our favorite introductions. An amazing combination of flower colors on a single plant. Do not cut back until new growth has flushed out in spring and all threat of a hard freeze has passed.